Acid attacks are not unheard of in India. Every now and then they are in the news. These attacks which involve throwing of acid onto the face and body parts of women are a blot on the entire nation. They remind us of patriarchal mindset which is still prevalent in the country wherein a woman is punished if she does agree to the sexual advances or marriage proposals of man. These attacks have been condemned as possibly the worst infliction one can make on another human. It leads to complete enervation and debilitation, disempowers women, leads to loss of income and opportunity most importantly causes life long emotional distress leading to depression, fear, anxiety and social detachment. In India selling acid to anyone under 18 years of age is banned by law under “The Poisons Possession and Sale Rules, 2013″. These rules came into being after an acid attack survivor Laxmi filed PIL in Supreme Court. Further, Section 326A of Indian Penal Code provides for a minimum punishment of 10 years which can be extended up to life imprisonment. 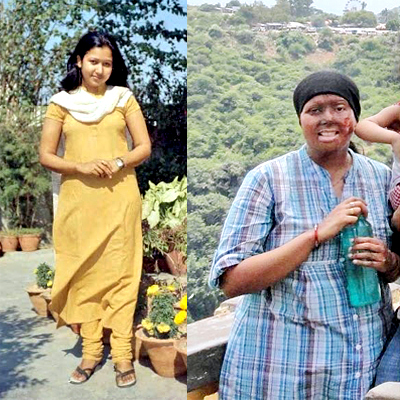 Today we take you through some select painful stories of acid attack survivors. These 4 women show why selling acid to anyone under 18 is banned in India. Perhaps you can go one step ahead and voice your opinion to end this inhumane menace of acid attacks on women. Pragya is a post graduate in Fashion Management. She was acid attacked 12 days after her wedding in 2006. While travelling in train towards New Delhi, where she was to attend campus placement, a jilted lover who was not happy with her marriage acid attacked her in sleep. The man threw acid on her face. She woke up screaming in pain while fumes were coming off from her hands and body. She went through two years of treatment including nine plastic surgeries. In her dreams, she still sees her old face in the mirror with eyebrows and hairline which were completely damaged by the acid. was just 17 when three men barged into her house in Dhanbad city, Jharkhand and acid attacked her on face and body just because she turned down their sexual advances. She suffered 70% burns to her face and lost her eyesight completely. For most of the next decade, she spent hiding in her parents home and underwent 28 face correction procedures. Actor Kangana Ranaut’s sister who was just 23 had to face the brutality of acid attack when an obsessed lover threw acid on her face. The attack was so brutal that she lost 90% vision in one eye, an ear and has a dysfunctional breast. Her face was the last thing on her mind when the attack happened as she was struggling to breathe. The acid had percolated through her skin and damaged her food and wind pipes. 57 surgeries later she has managed to live her life with the support of her husband and sister. Laxmi was only 16 years old when Guddu alias Naeem Khan developed a one-sided liking towards her and decided to disfigure her face when she did not respond to his advances. Guddu along with his friend Rakhi acid attacked Laxmi in Delhi’s posh and busy Khan Market area in the year 2005. Unlike, many other survivors she got immediate help but her family lost everything in gradual turn of events. Her father, who was a cook by profession passed away after few months and her brother was diagnosed with dysfunctional lungs. With no means of sustenance, the family struggled hard to meet its basic needs. 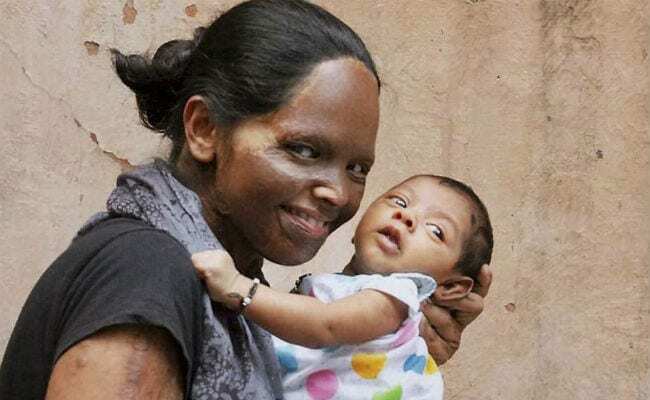 However, Laxmi emerged as an inspiration to all acid attack survivors. She filed a PIL in supreme court which resulted in the formation of “The Poisons Possession and Sale Rules, 2013″ banning the sale of acid to anyone under 18 years of age. Moreover, she successfully got both the culprits imprisoned under law 10 and seven years. While acid attacks are carried out throughout the world, they are more prevalent in South Asia, which includes India, Pakistan, Bangladesh and Cambodia. These countries report the highest number of acid attacks across the world. However, in recent years, Bangladesh has been able to bring down the number of attacks due to strict enforcement of law. On the other hand, India, which has a strict law in place, the acid attack cases continue to rise year after year because of poor implementation. While human civilisation as a whole evolves, it is expected that our collective tolerance towards each other’s decision increases. However, it’s a balance that unfortunately cannot always be controlled by us – where there is love; there will sometimes be hatred. Having said that, when the weight keeps tipping towards friction and it tips so much that it is almost impossible to look for the brighter spots in society, we know that things need to change. A collective conscience needs a voice. Where each opinion matters. That’s why we built Swipe, where your opinion, voice and vote matter. Download our free app and make a difference – share your opinion, vote, and ask questions.